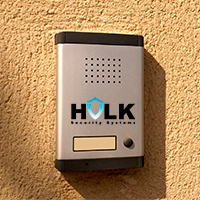 Hulk Security Systems Provides a broad array of security solutions to all of New York including Manhattan, Brooklyn, The Bronx, Queens, Staten Island and New Jersey as well. The only way a security company can hold its ground in this market is by truly offering the best in products and services and that is exactly what we do. We offer NYC security services to Staten Island which includes all of our standard security systems, our fantastic 24-hour a day locksmith service and the best technicians in the business. Staten Island is an important part of New York. Security needs to be at its best here just like every location we serve. If you need any kind of security upgrade or a whole new security system or you just want to change access control and install a new CCTV system, we can do it better than anyone else providing NYC security services to Staten Island. Installation of safes and complete alarm and camera systems is just part of our specialty for New York Security. We have the most up-to date access control systems and we install them with different types of security doors. Our team of experts can assess your residential or business security needs and offer you brilliant suggestions to improve security overall, as well as a free estimate for our services.